Ashraya Initiative for Children 2016 Video by Adam and Sarah Lauze on Vimeo. Below is a collection of older video content and news stories featuring AIC. If you know of talented film/video producers in or around Pune looking for a project that would like to help us continue telling our story, please contact us. A 2010 news feature by CNN reporter Malika Kapur on our very own Aakash’s struggle to make a better future for himself. An oldie but goodie – this is the first official AIC video created by cofounder Liz Sholtys from way back in 2006. Our AIC family has grown by leaps and bounds since then expanding to the current integrated 4 program model. Red Bull Amaphiko features our nutritional efforts in their online magazine. 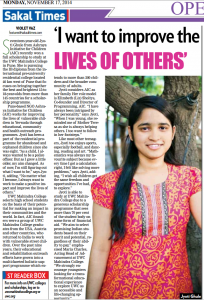 The last media feature we shared was an article in Sakal about Geeta from our residential program, who has been selected to attend the Mahindra United World College of India. This is the story the newspaper carried in their print edition. 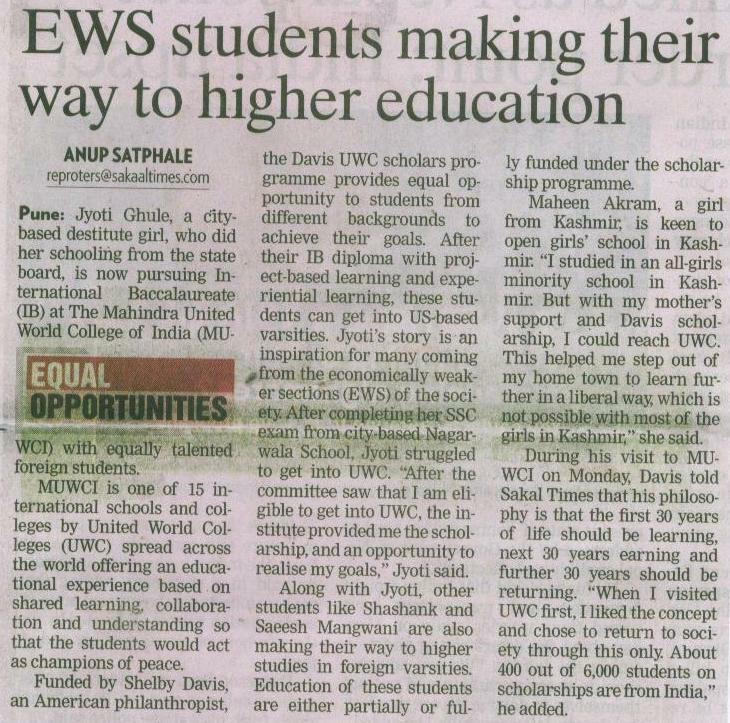 In 2014, Geeta and Jyoti from our Residential Program were selected to attend the prestigious United World Colleges. 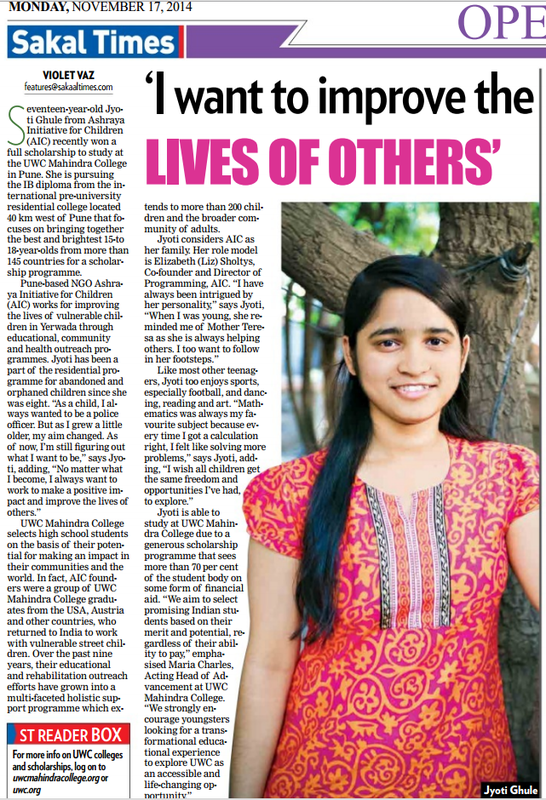 Jyoti was profiled by Sakal, a prominent local newspaper in “>this Nov ’14 feature article where she spoke about her dreams and role models. Cover story in the Fall 2008 edition of Emory Magazine featuring AIC and cofounder Elizabeth Sholtys, an Emory alum herself. 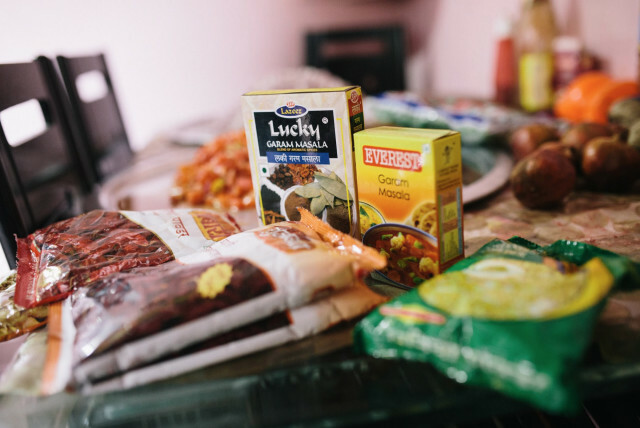 “Princeton Senior Strives to Break the Cycle of Poverty in India”. Princeton Weekly Bulletin. June 4, 2007. 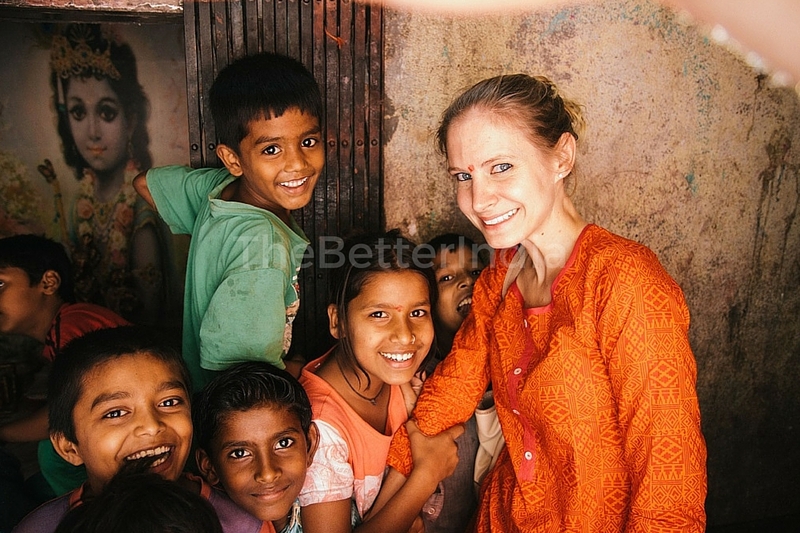 A feature on Princeton alum and AIC co-founder Julia Neubauer-Babu and AIC.